This globe-trotting Malaysian Carnatic concert singer was relating his unforgettable experiences studying under the late violin maestro Kunnakudi Vaidyanathan in Madras, India in his early 20s. He recalls: “Attending Guruji’s music training sessions was an education of a lifetime. “He was a very busy performing artiste and regular, structured music lessons were not the norm. He would, in the midst of his routine early morning practice give his students valuable pointers on classical music and share his expertise on composing music for films. 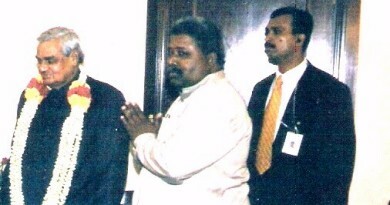 Venkateswaran has several Carnatic music compositions to his credit. Notable is the piece Sulochana Priye in Raga Amrutha Varshini, Adi Tala composed as a dedication to his mother Sulochana Somasundaram, an accomplished singer herself and Venkateswaran’s first music guru. 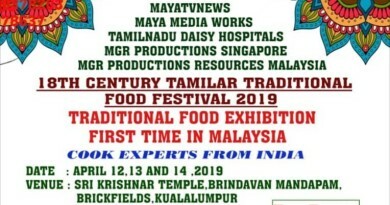 Sulochana together with her sister, Sharadhambal were called the Nellai Sisters who performed widely at temple and cultural programmes in Malaysia and Singapore and also sang on Radio Malaya (Malaysia). 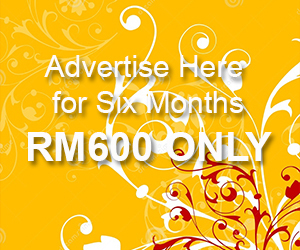 Venkatesan’s active involvement in the world of Indian Carnatic music performing concerts in India and other countries like Australia is not known to many Malaysians. Carnatic music lovers in Malaysia should therefore not miss the opportunity to see his upcoming concerts together with Indian musicians mridanga vidwan, V. Rajasekar and violinist M. Vijayaganesh in Ipoh and Kuala Lumpur. Rajasekar and Vijayaganesh are experienced performers who have accompanied some of the top Carnatic music maestros of India. The Ipoh concert will be held in the Sapthaswara Sangeethalaya Academy of Fine Arts at 18A Jalan Kledang Raya 21, Taman Alkaff, 30100 Ipoh on Aug. 19 from 7.30pm. The Kuala Lumpur concert will be held the following day at the Brahmin Association at Jalan Kasipillay, off Jalan Ipoh from 6.30pm. Admission for both concerts is free. 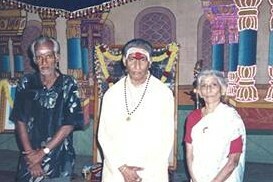 Photograph: (from right) Prof S. Venkateswaran’s mother and his guru Kunnakudi Vaidyanathan with a friend. Video: Prof Venkateswaran performing his composition, Sulochana Priye at a concert in Melbourne last year. Nice write-up. All these, and more, are due to God’s grace and with the blessings of my beloved mother and my revered gurujis who have made all these possible in my life. It is the sincere role of theindianraas.com to try and document the growth and glories of genuine artists sir.